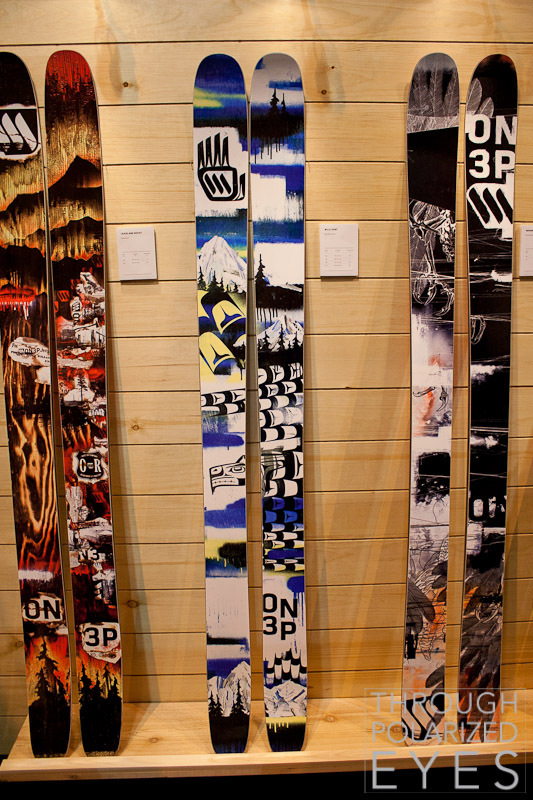 This weekend marked the annual SIA Snow Show at the Denver Convention Center, and I was back to check up on the state of next year’s gear. 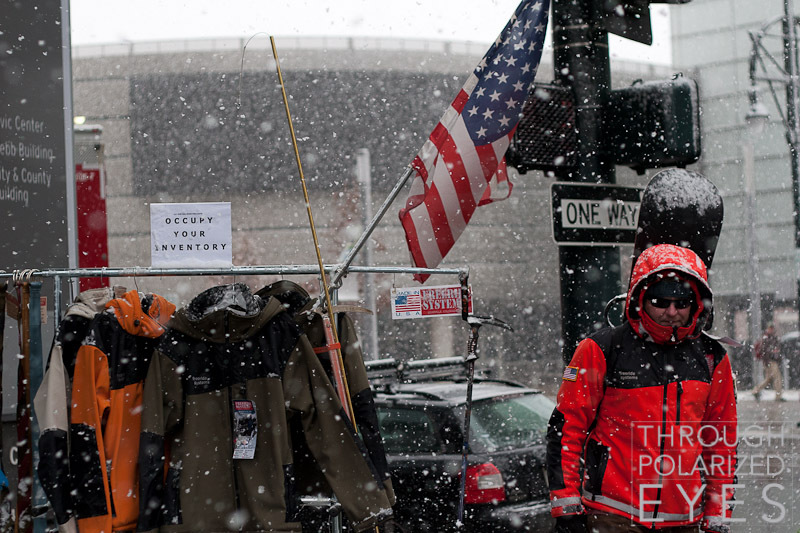 Despite the poor snow year, people were mostly optimistic. Industry sales are decent, and – if nothing else – next year has to be better, right? 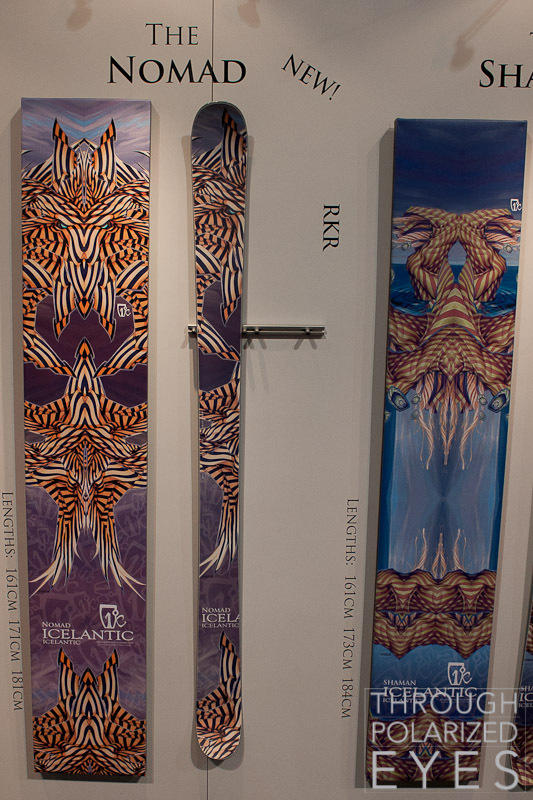 Friday started off with a snowstorm of surprising intensity, which didn’t deter Michael Collins, owner of Leadville-based Freeride Systems, manufacturer of some very-well thought-out ski jackets and work pants. He’s too small to run a booth at the show, so he set up across the street, enthusiastically showing off his wares in spite of the weather. Watch for his company to do some great things in the coming years. The big new thing from Scarpa is the Maestrale (and Gea) RS, which is essentially the same boot as the Maestrale but with a stiffer tongue and a super-rad 80s style paint job. Tongue should be available as a replacement to retrofit in to older models for those who want a bit more stiffness. Trab is in the same booth, and had some ridiculously light rando race skis and a race binding. 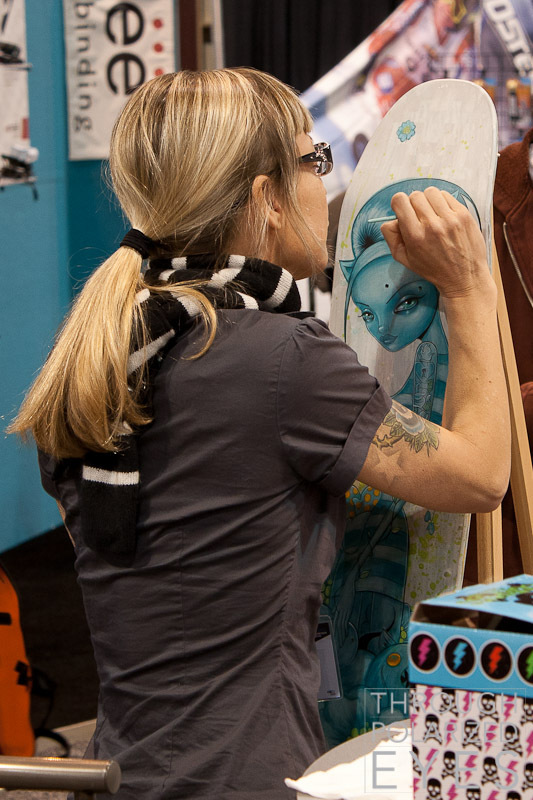 I asked about the prototype binding they were showing off a couple years ago with a new tech fitting system, and it sounds like progress is slow – “maybe” something to show off next year. 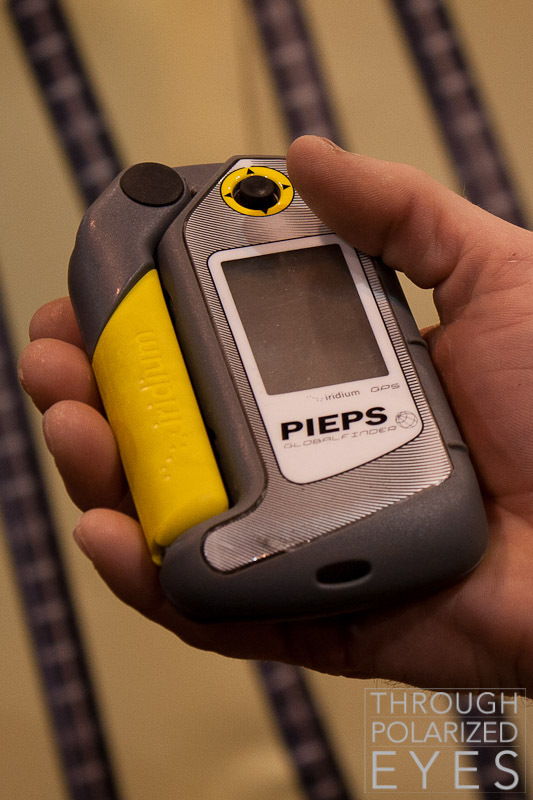 The Pieps Vector is still going through software updates, and is expected to be ready “soon.” The dog/equipment and backup beacons are available now. Something I spotted in their catalog earlier in the year as “available soon” is a satellite communication/GPS device. 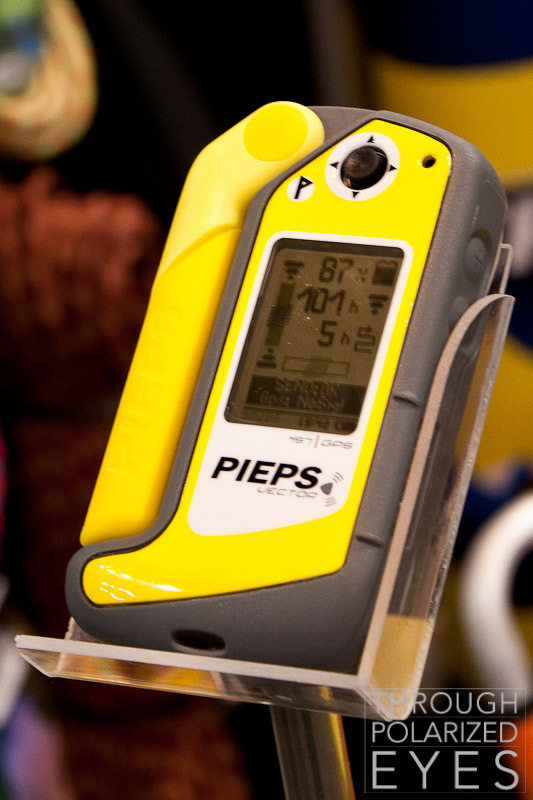 It’s called the Pieps Global Finder, and was said to be ready late this year. Should be interesting once it’s ready. I made a quick stop by DPS and talked to Marshal for a bit, and the most noteworthy item from them was the second generation of the Spoon. 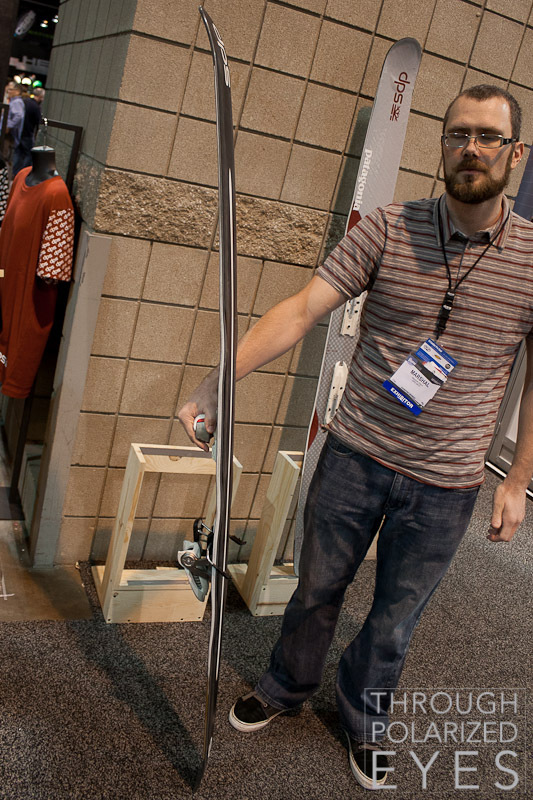 Last year they were showing off the ski with a fully convex base, and two large (1″+) cleats on each side. The update adds a 4″ flat spot in the center of the ski leaving about an inch of convexity on either side, resulting in better tracking and significantly shortened cleats. Word is they’re working on the third generation, so expect to see something production ready next year. Other than that, the Wailer 99 is new this year – it’s been out for a couple months now, and I should have a quick review from the on-snow. Black Diamond was back, and Jax gave me a full rundown of their line, with quite a few changes and additions for next year. They’ve got a few new skis I plan to try out at the on-snow, in my seemingly never-ending quest for a Kilowatt replacement. The Revert in particular looks appealing, 181cm length, 95mm waist, 21m radius, and a bit of rocker – but more on that later. 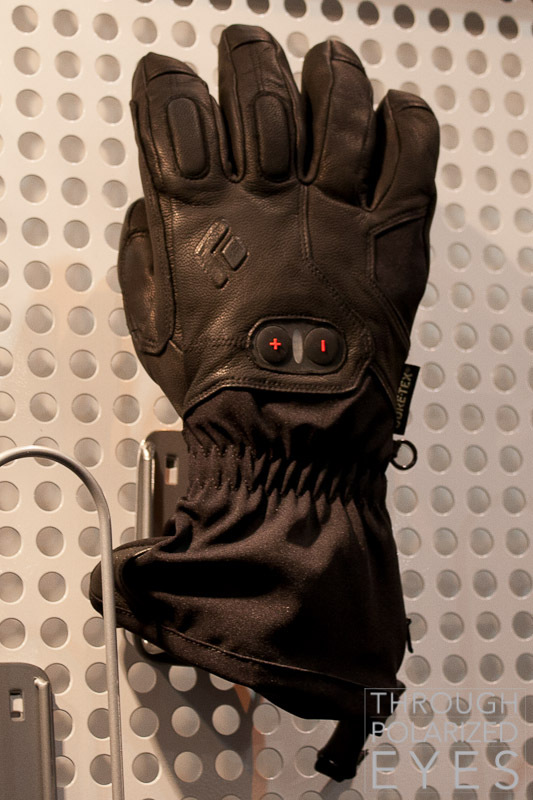 BD is venturing in to the high-end glove market, and even has heated gloves and mittens (the Cayenne) to compete with Hestra. There’s one glove in particular called the Rambla (MSRP somewhere around $159-179 – not final yet) that I’d like to get my hands in – it’s as ergonomic and articulated as the $300 Arc’teryx gloves. 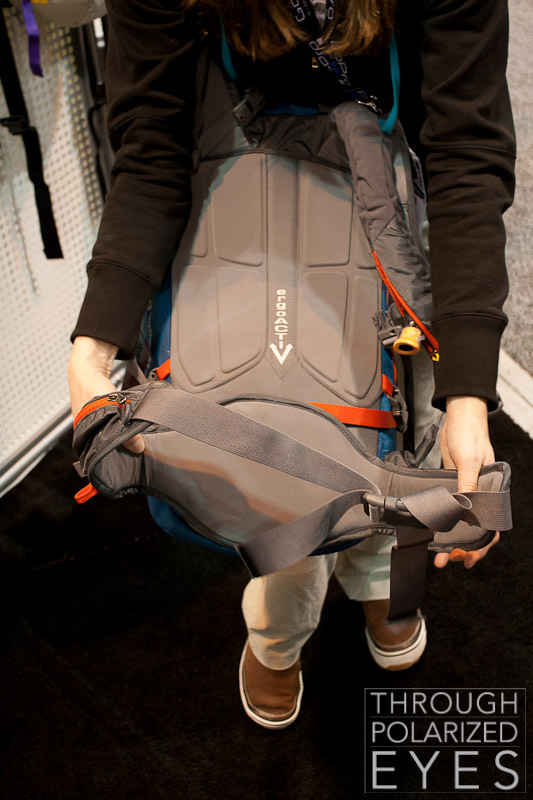 Their packs are overhauled this year, and include their new “ergoACTIV” suspension system. Essentially, the hip belt can swivel back and forth. Sounds weird, feels a little weird when you put it on, but after a minute it all clicks and you realize the whole pack is moving with your body, even in different directions when needed. Very cool. The Outlaw Avalung (which I own and love) has been considerably reworked, and makes the full back-panel access even faster and easier to get to, plus a few other tweaks. 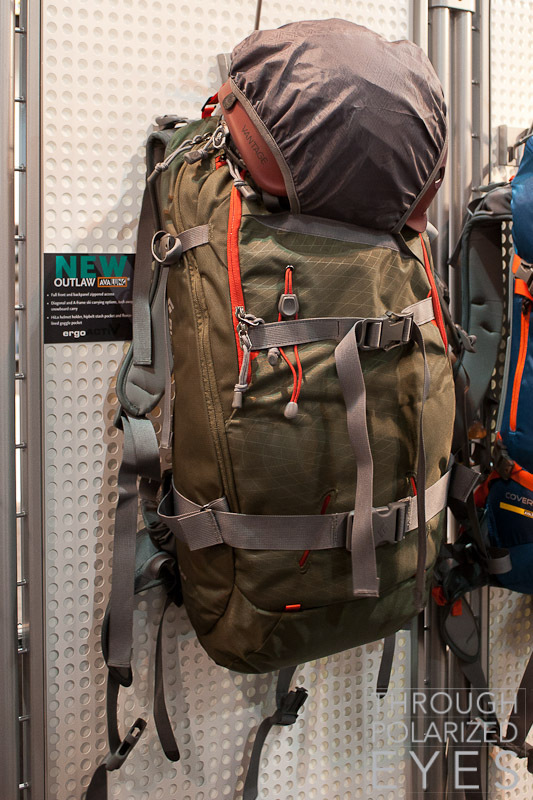 My only complaint about the one I have is that it doesn’t carry weight well, so big days become painful. The new suspension looks like it’ll fix that. Black Diamond has updated their skin glue, with what is a very welcome upgrade. It is said to stick better to ski bases in the cold, but pulls apart from itself easily (as long as it’s warm). I’ve nearly hurt myself trying to separate a pair of new skins, but the new ones separate effortlessly. 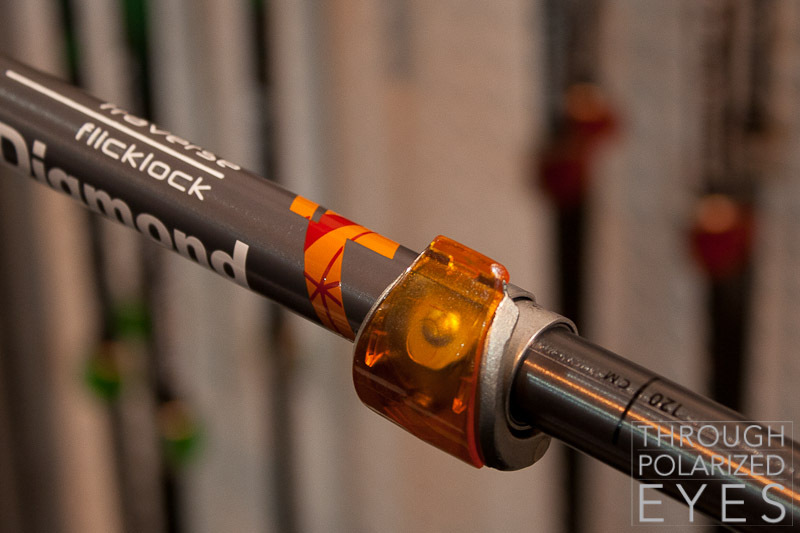 A lot of companies have been coming out with flicklock-style poles lately, and it turns out it’s because BD’s patent expired. 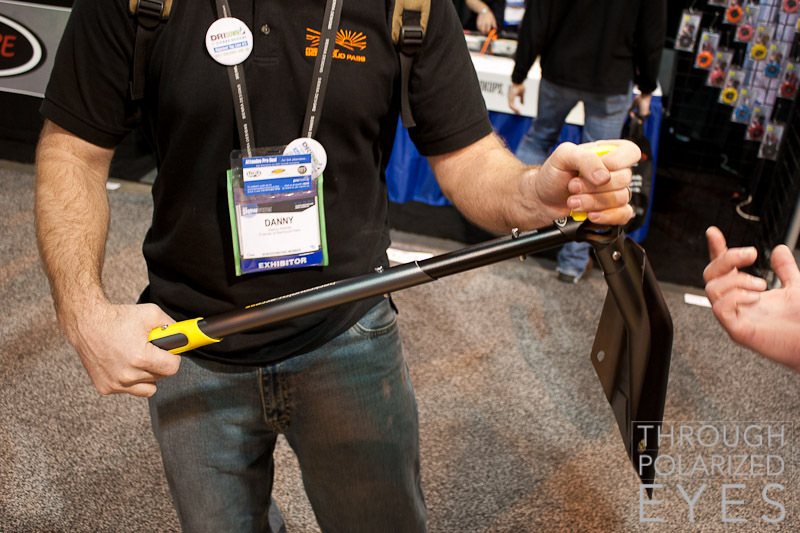 In response, they’ve come up with a new, simpler, easier flicklock system to stay on top. There’s a full line of colors, so they probably have something to match your outfit, if you’re in to color-coordinating accessories. There was also some buzz about a clothing line at some point in the future, but BD is being pretty tight-lipped about it. 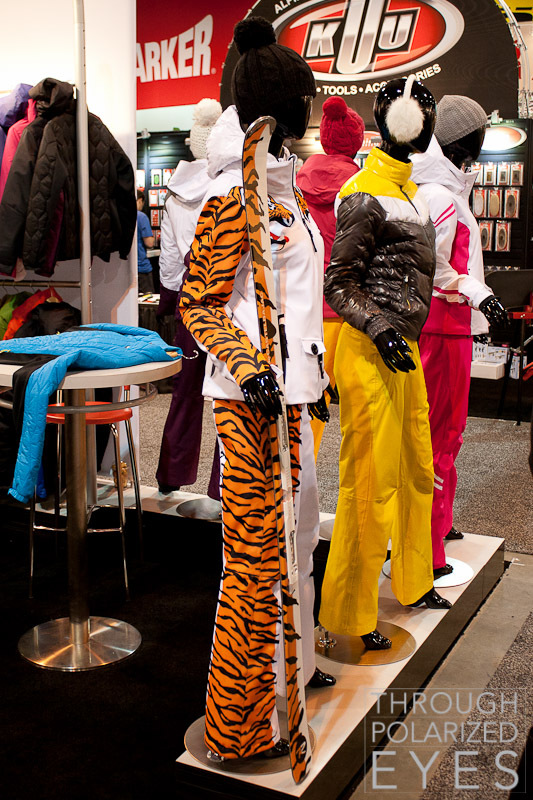 Here’s hoping they take some inspiration from Rossignol, who has an amazing matching set of jacket, pants, and skis that only a photo can do justice. Sadly, no men’s version. 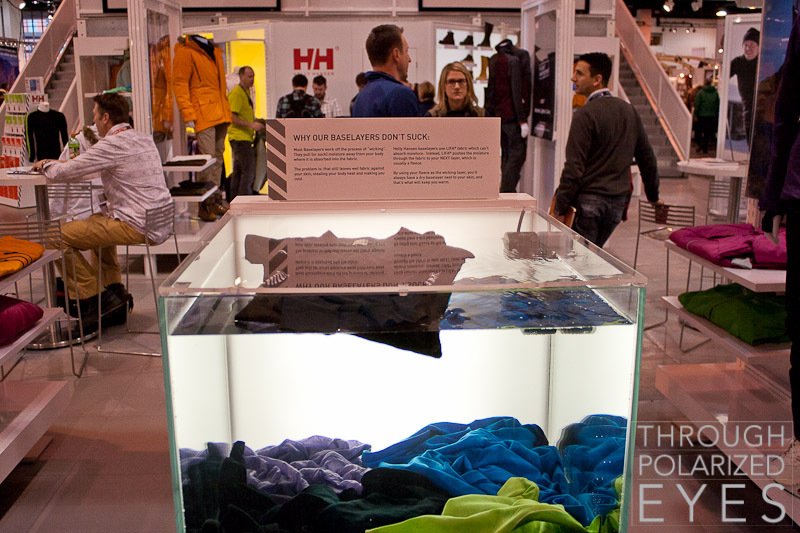 Helly Hansen has base layers that don’t absorb water, meaning the layer against your skin will always be dry. How well moisture moves away from your skin remains to be seen, but this is something I look forward to trying. Icelantic has new artwork, which is beautiful as always. A few tweaks to a couple of their skis, otherwise not a lot of change. 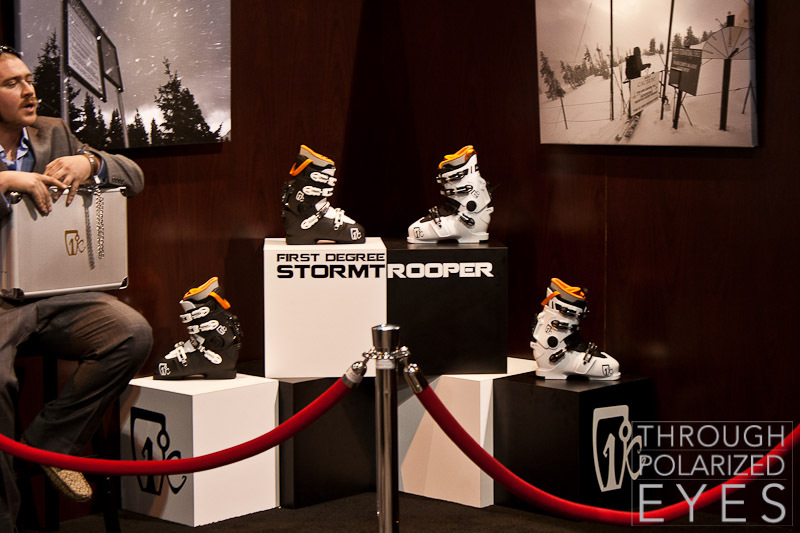 They’re also introducing ski boots this year. Not a lot of details, and they played up the hush-hushness of it all. Four-buckle boot with a little bit of articulation. Standard alpine sole and no tech inserts, looks like this one’s for the sidecountry crowd. I ran in to a couple of the Friends of Berthoud Pass guys, and we spent an hour or two talking to various companies with avalanche-related products. 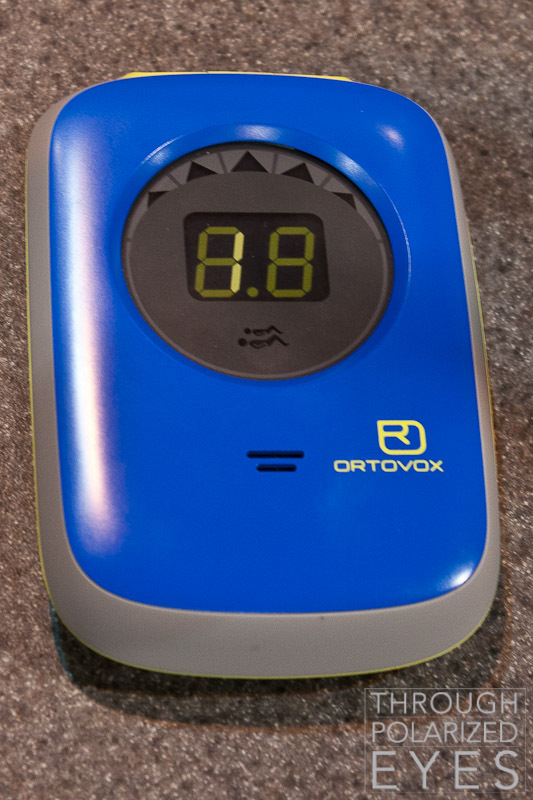 Ortovox is bringing an inexpensive three-antenna beacon, the “Zoom,” to market without any bells or whistles (aside from their smart antenna system, which eliminates the “vertical burial” scenario that can greatly reduce search range), perfect for those new to the backcountry. MSRP at $249, available in December 2012. BCA is adding to the availability of “hoe-mode” shovels with the Dozer, that gives multiple handle configuration options for better efficiency at moving large amounts of snow quickly. They’re also working on the Tracker 3 beacon. They’ve finally eliminated the “special mode” (without getting too detailed, it narrows the search angle and confuses most people who aren’t well-practiced with it) and just gone to a flagging ability. Available this fall for $360. 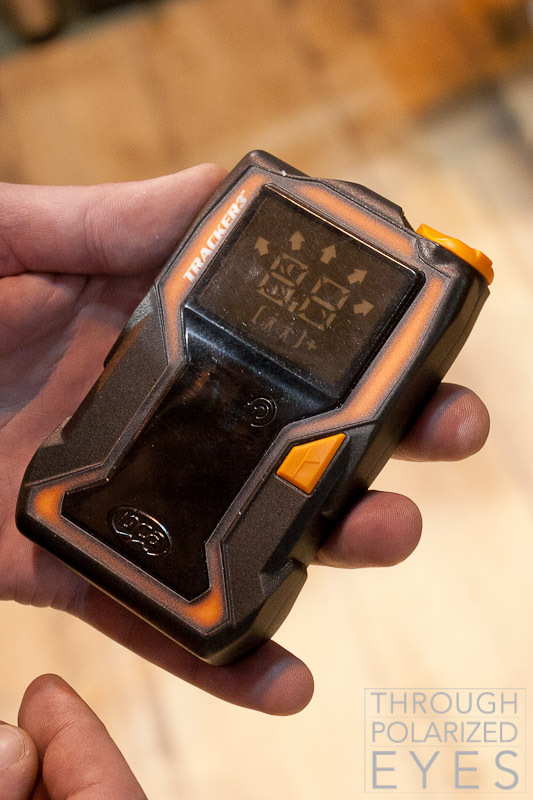 Arva, an avalanche safety equipment company that’s rather popular in Europe and is just starting to market to the US, has some nice looking beacons and packs, but what really caught my eye was this training transmitter. 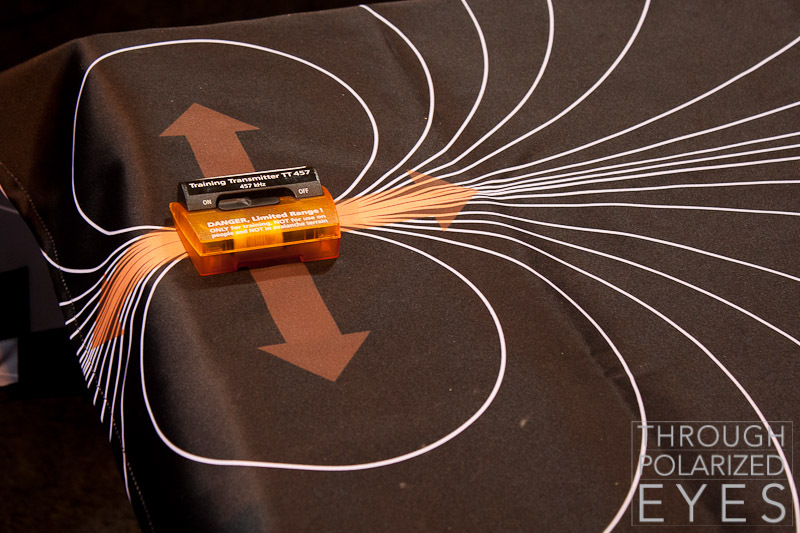 Great for explaining how flux lines work when performing a beacon search. I wandered past the ON3P booth and was impressed. Everyone involved is very passionate about what they’re doing, and their dedication to quality shows in their work. I owned a pair of the original-run Billy Goats, which received mix reviews. They’ve been changing it constantly, and it looks like they’ve got it in a pretty good place. For next year, it has a standard sidecut from the boot center back, and a reverse elliptical sidecut from the boot center forward. Very interesting, and I’m hoping to get on a pair when they’re back for demos. It’s also available in a “tour” layup which drops a pound from the pair through judicious use of carbon fiber. New to their line is the Tychoon, a 98mm-waisted “all mountain” ski. 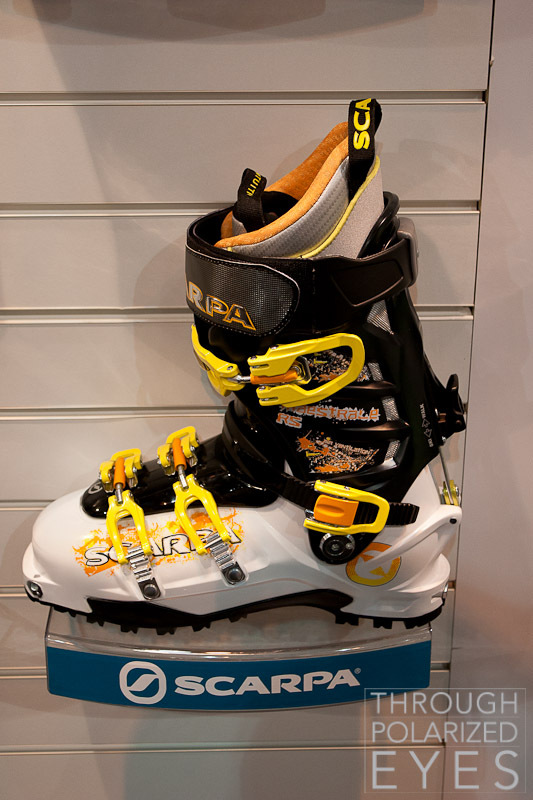 It actually looks quite a bit like what I’m looking for in a mountaineering ski, hopefully I can get a pair under my feet at some point. 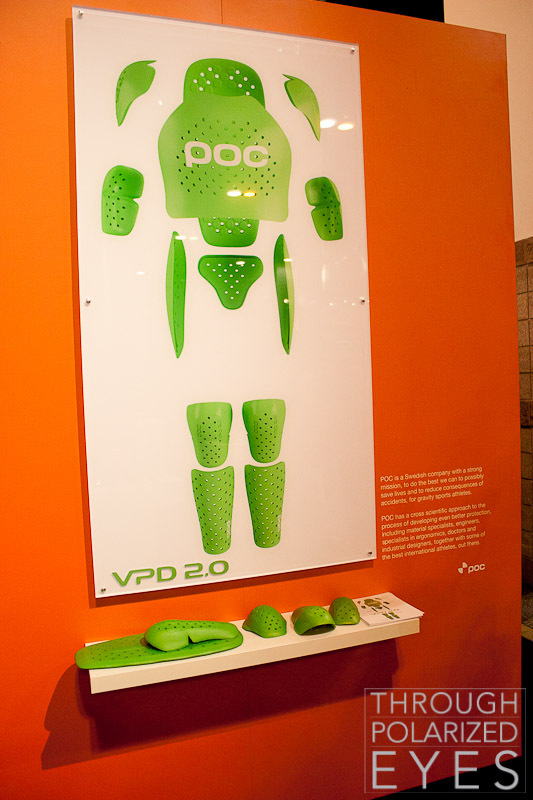 POC has their new VPD 2.0 armor, soft and flexible for comfort but instantly hardens up under an impact. Even hitting it with my knuckles was enough for it to stiffen. 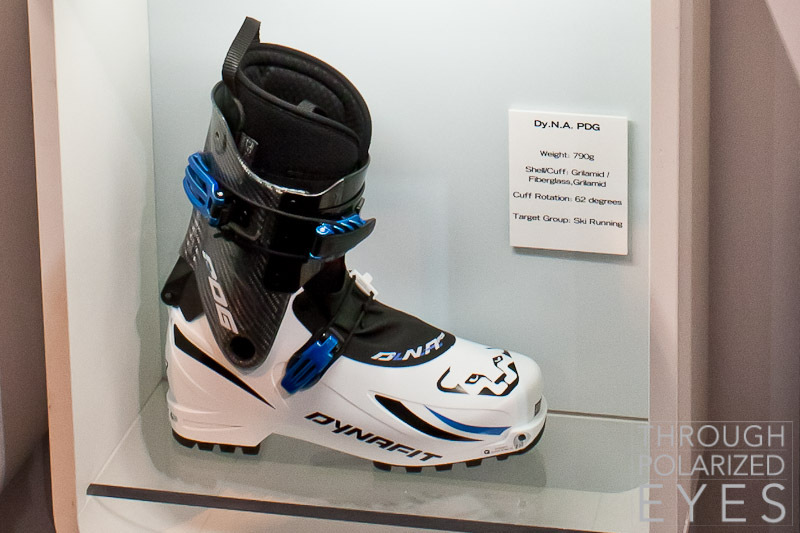 The big news from Dynafit was definitely their boots. The long-awaited collaboration with Eric Hjorleifson is coming next year, and it’s called the Vulcan. Light enough to climb (1600g/boot) but stiff enough for anything on the down. More on those and the slightly lighter-duty “One” after the on-snow day. 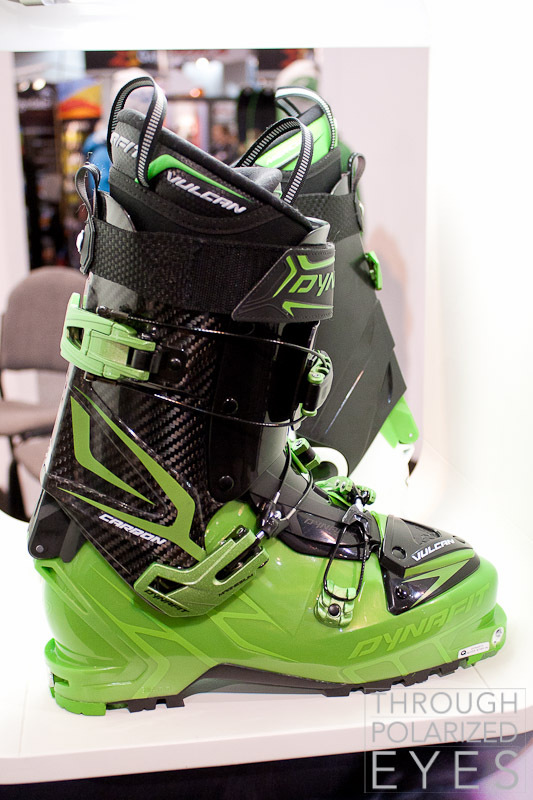 Also of interest to the ultralight crowd is the DyNA PDG, which adds about 105g to Dynafit’s top-end race boot (to 790g/boot, by using fiberglass for the cuff instead of carbon fiber) but drops about $650 off the price tag. 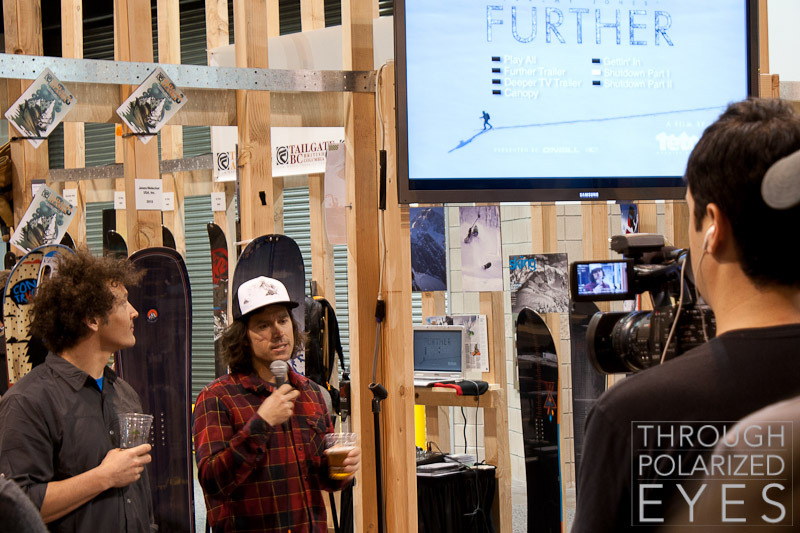 Jeremy Jones was there to talk a bit about backcountry safety and show a few clips from his upcoming movie, which looks like a good watch. 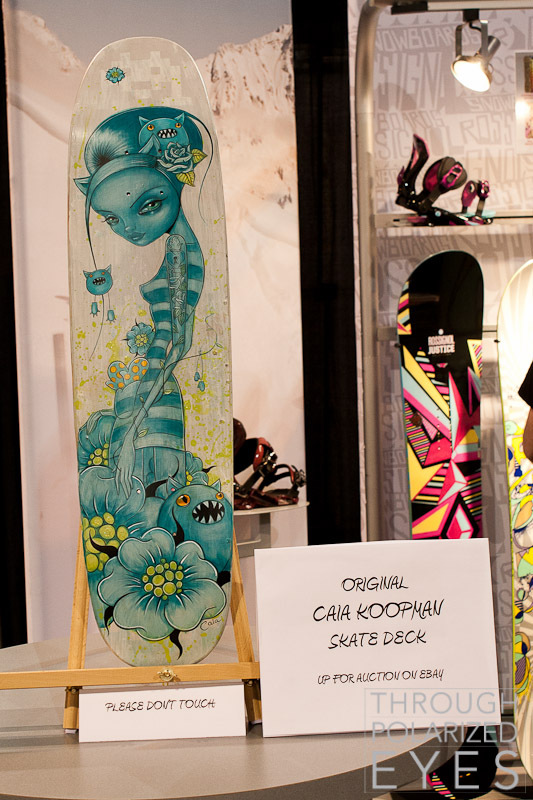 Caia Koopman, artist for quite a few Rossignol skis (such as some years of the S7 and S3), was there at the end of the day painting a skate deck that’s being auctioned off for charity. It was great to watch her work for a while.